From traditional to modern, the Verona Collection fits beautifully into any home décor. 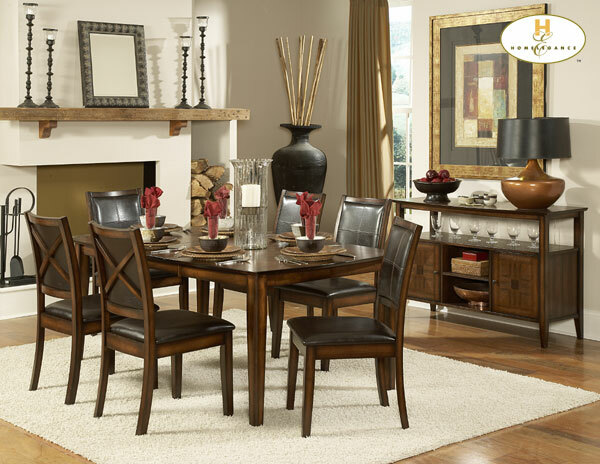 The table features oak veneer with walnut inlay in a distressed amber finish. The chair design features bi-cast vinyl in a deep chocolate finish that is easy to clean and is luxurious to the touch. 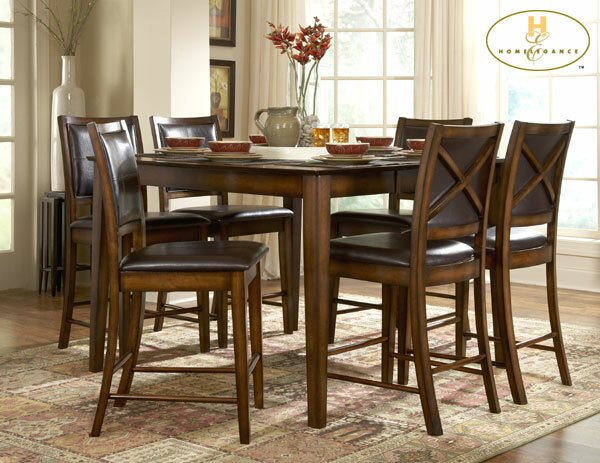 A stunning combination of color and design gives the Verona dining collection a classic look into contemporary furniture.